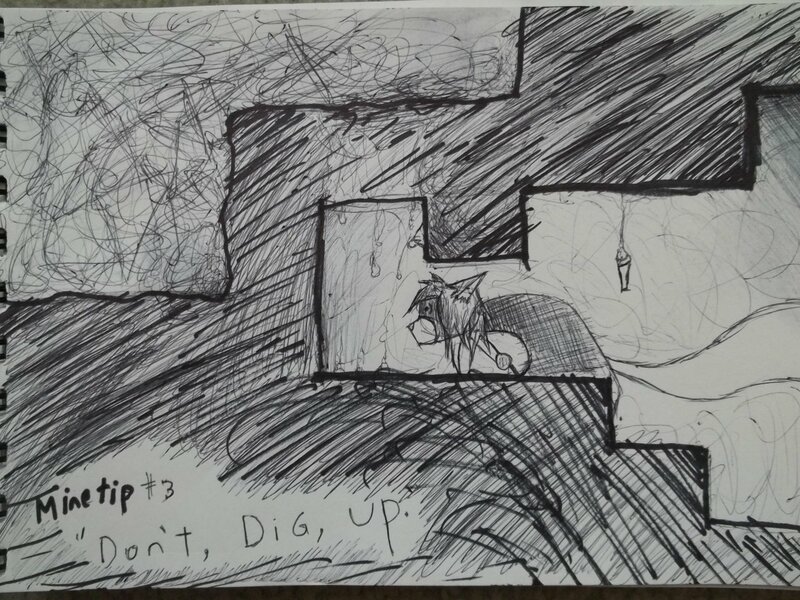 Mine Tip#3 Don't, Dig, Up! Originally Submitted to FurAffinity.net on October 31st, 2013 06:30 PM. Before it was transferred to Inkbunny it had 7 views and 0 favorites. same as minetip 2, you don't know what's going to fall on'ya, best not to tempt the gods, yes?